Everything has both a good and a bad side to it. People can be a pretty nasty bunch, and we’re capable of creating a bad side even to the most useful things in life just to make it more “interesting.” Online dating is one of those things. There are numerous reasons why you should give online dating services a chance (if you haven’t by this point), and one major reason why you shouldn’t. Dating scammers are lurking behind every corner in the British online dating world, and it’s no wonder that people both fear and hate them. You really have to be explicitly horrible as a person to take advantage of lonely, love-searching individuals. However, you can defeat them and get rid of the fear stopping you from trying online dating once and for all! You can become a pro at spotting online dating scams in just three easy steps. Scammers view people as targets, and no target is as ideal as someone older than them. Male scammers target women in the 50-60 age range, while female scammers target men who are middle-aged and older. We’re not just talking about taking one look at them. You have to be sure that you’re dealing with a scammer, and if the photos seem a bit fishy to you, you need to do some research. If the person you’re talking to claims one thing but their photo shows features that don’t match with the general picture he or she built up for themselves, you might be dealing with an online dating scammer. Secondly, do a photo check. Save a copy of their profile picture and use the Google image search option. They could have posted or sent someone else’s photo, or they’re already registered as a dating scammer somewhere. If something that someone sent you if full of inconsistencies and basically repeats itself, you can be sure that you’re dealing with a scammer. Of course, it’s needless to say that if someone asks for money – he or she is definitely a scammer. Don’t fall for the sad, pathetic stories and never give out any personal information such a credit card numbers, phone numbers, financial information, etc. In this Dating VIP U.K. review, we explore all the qualities of this unique dating site, from its large and diverse member base, to the ease of use and features that help you start dating immediately. 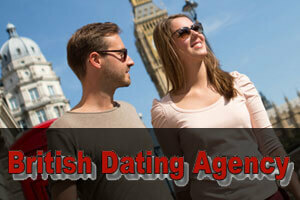 British Dating Agency is a place where hundreds of British singles come to relax, chat, and find love. The site is simple yet functional and allows you to meet tons of cool people as soon as you join. England Chat City is definitely one of the best-designed English dating sites. From video chatting to an incredible number of users, it offers everything you need to say goodbye to loneliness forever.